Here at Afrihost we’re committed to Better. Being better, doing better and making things better where we can. To be better, we’ve started a drive within the company to be healthier, fitter and more disciplined. In doing better, we’ve put emphasis on training, education and life long learning to grow and nurture our team’s passions and skills. And finally, by contributing and giving back to our society, especially to those less fortunate than ourselves, we hope to make the world we live in a little better for everyone. Since we started making an effort to get fit (mostly due to our awesome personal trainer, Themba) some of our team have been daring to go beyond the gym to pushing themselves to be healthier and fitter. For many South Africans, the dream of an equal and democratic society seemed very far away for many years. 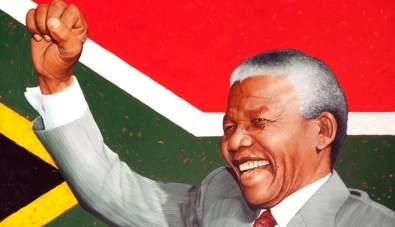 Madiba embodied our country’s struggle for freedom through his own imprisonment on Robben Island for 27 years. But it was his love and forgiveness out of prison which captured the imagination and respect of the entire world. Madiba not only showed that he had put the past behind him and forgiven, but proved that through hard work and unity we could make our country the great nation he envisioned. Take a little trip with Sheepy, the Afrihost rAge mascot, around the sights of South Africa's biggest Video, Card and Tabletop Strategy Gaming Expo! Our network move has been a HUGE undertaking - we've put together the important facts about what we're doing and what you can expect! After a exciting trip to Germany to attend the biggest gaming trade show in the world, our Afrigamer winners share their experiences! Afrihost Proves we are Red Blooded to the Core! 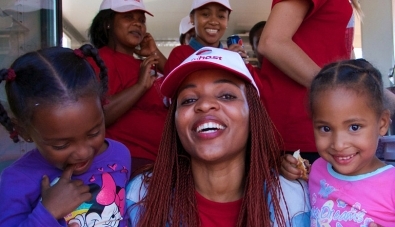 We recently hosted a successful Blood Donation Drive with the help of SANBS and Afrihost Clients! Afrihost is out for Blood!